Idan Raichel is an Israeli singer, song writer and musician, known for his "Idan Raichel Project ," a collaboration of over 95 musicians of diverse cultural backgrounds distinctive for its fusion of electronics, traditional Hebrew texts, Arab, Ethiopian and Latin music. During a career spanning a mere 15 years, Idan has become not only the most successful artist in Israel but one of its most successful artists abroad, with tours at some of the most prestigious venues in Europe, the USA, South America, Asia, the Far East, Canada and Australia. Raichel has collaborated with many great artists including American pop stars India Arie who he performed with for President Obama, and Alicia Keys, and a wide variety of artists who are household names in their native countries. 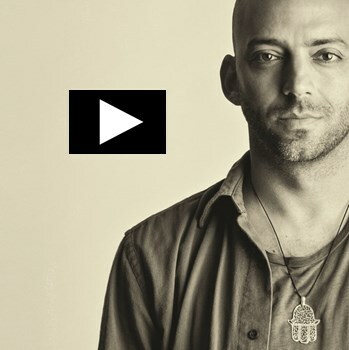 As leader of The Idan Raichel Project, Idan has become an ambassador representing a world of hope in which artistic collaboration breaks down barriers between people of different background and beliefs. He feels that real peace can come when people understand each other's cultures. Raichel has introduced a new musical culture - a fresh style of production combined with lyrics in a variety of languages including Hebrew, Arabic, German, Spanish, Amharic and French, which worked its way into the Israeli mainstream as well as into the hearts of the general public in Israel as well as overseas. In 2016, Idan was presented with the "Unsung Hero Award" by Martin Luther King III, in recognition of his service and leadership in achieving human dignity, racial equality, and racial harmony for Ethiopian Jewish immigrants to Israel. This was the first time the prize was awarded to a non-US citizen. That same year he received a special citation from B'nai B'rith International calling him a "cultural ambassador for millions of fans, representing a world full of hope in which musical collaborations remove boundaries between people coming from different backgrounds and cultures". Idan's latest album "And If You Will Come to Me" promises to be the most impactful of his illustrious career, featuring collaborations with musicians from Japan, Bulgaria, Ethiopia Cuba, India and Niger along with some of Israel's biggest musical icons. The "Raichel-Piano-Songs " show is the realization of his dream of getting close up to his audience and presenting his songs in their original format of piano and voice.